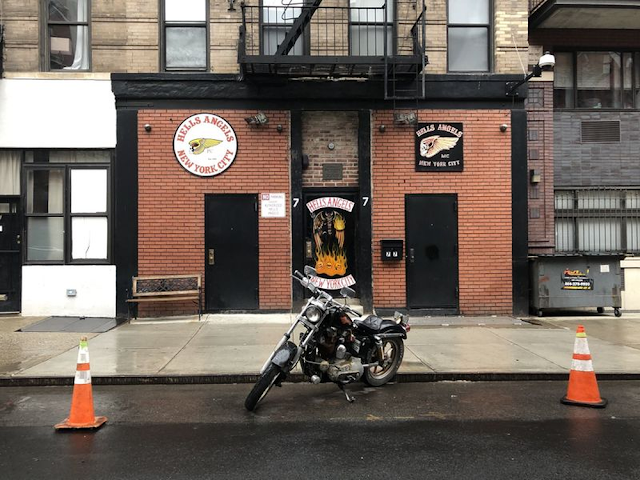 New York City, NY (December 31, 2018) BTN — A food deliveryman was punched in the face outside the Hells Angels MC's clubhouse in the East Village Monday, police said. The 22-year-old victim was attacked on East Third Street near Second Avenue outside the clubs’s headquarters about 2 a.m. Monday. Cops said the deliveryman parked in front of a row of motorcycles to deliver food to a nearby address. A 60-year-old man told him he couldn’t park there, cops say. The victim refused to move and a second man in his 30's punched him in the face. He declined medical treatment. Nobody has been arrested. It wasn’t the first time members have allegedly attacked outsiders over parking spaces in front of the clubhouse. In December 2016, Hells Angel MC member Anthony Iovenitti was arrested for shooting a 25-year-old man during a wild brawl after the victim moved an orange parking cone club members use to reserve public parking spaces for themselves. David Martinez survived but had a bullet lodged in his spine. Odessa, Florida (December 31, 2018) BTN — The 69'ers Motorcycle Club is a nationwide organization whose members pride themselves on being part of the one percent — that is, the small fraction of bikers who shirk society’s rules. In the Tampa area, they called themselves the “Killsborough” chapter. Inductees adopted names like “Pumpkin” and “Durty” and “Big Beefy.” They nurtured what prosecutors say was a criminal enterprise focused on narcotics distribution. Last year, according to a federal indictment, they graduated to murder. Their target was Paul Anderson. Anderson was president of the Cross Bayou chapter of the Outlaws Motorcycle Club, the predominant one-percenter club in the eastern United States. Anderson’s brazen slaying in December 2017 during rush hour on the Suncoast Parkway rattled local law enforcement. Sheriff's officials warned of more violence. What authorities didn’t reveal, though, was the story of a deliberate campaign of violent retribution. That tale has since been spelled out in court documents and transcripts related to the federal racketeering case against five members of the 69'ers. It all started when someone stole a couple of vests. The patch, known as a “rocker” is how one-percenters identify themselves and their clubs. The vests feature the 69’ers logo — a red-tongued wolf, and often, an interlocked 6 and 9. Guinto, 27, and another Killsborough member were wearing their vests the night of April 18, 2017, when they attended a “bike night” at the Local Brewing Company restaurant in Palm Harbor. The Outlaws were there, too. And they didn’t take kindly to the two 69'ers. The pair suffered a beating from a dozen sets of fists and boots. Then the Outlaws took their cherished vests, according to court documents. Word got back to the other Killsborough members. Christopher “Durty” Cosimano — their president, according to prosecutors — vowed they would take the lives of two Outlaws in retaliation for the thefts. Within a few months, prosecutors said, they made their first try. It all happened to James "Jimbo" Costa in the span of 18 minutes one warm, breezy summer evening as he drove his Harley Davidson motorcycle south across the Sunshine Skyway Bridge then north on U.S 41 into Hillsborough County. Costa was a captain and a career firefighter with Hillsborough County. He was also president of the St. Petersburg chapter of the Outlaws Motorcycle Club, according to law enforcement. He retired from firefighting in 2016 after news reports about his involvement with the club. On July 25, 2017, he donned his black leather vest with the Outlaws' logo — a skull and crossed pistons — and left a meeting in Pinellas County. A photograph shows Costa entering the Skyway at 11:14 p.m. Fourteen seconds later, a white Chevrolet van appeared behind him. The van, investigators learned, was registered to Cosimano, according to court records. Costa crossed the Hillsborough County line just before 11:32 p.m. and the van sped past. Someone inside fired a gun. The van made a U-turn, Costa later told sheriff’s deputies, then more gunshots. Costa ran, bleeding, to a nearby trailer park and called 911. Sheriff’s deputies used the bridge toll records to identify Cosimano’s van. Deputies took DNA swabs and fingerprints from inside, but made no arrests. Six days later, Pasco County Sheriff's Office investigators wrote in a search warrant affidavit that Cosimano planned to assassinate Paul Anderson. Sheriff's deputies visited Anderson at home. They told him they had heard about a hit placed on him. Anderson didn't seem surprised. "Paul advised there were a lot of people that wanted to kill an Outlaw," according to the affidavit. He repeatedly denied knowing Cosimano, but still had a message for him. "Tell him good luck," Anderson said, according to the affidavit. Deputies also interviewed Cosimano, but he denied knowing Anderson or plotting against him, the affidavit said. Almost four weeks later, the Outlaws clubhouse in St. Petersburg went up in flames. Footage played on TV news shows a fireball engulfing the two-story stucco building on 18th Avenue S. In federal court documents, prosecutors say Cosimano and Guinto set the blaze. On Dec. 21, 2017, Paul Anderson rode north in his pickup truck along the Suncoast Parkway. Department of Transportation toll cameras captured him at 4:53 p.m. as he cruised down the exit ramp to State Road 54. Seconds later, the same cameras spotted two men on motorcycles, both with their license tags covered. The riders wore black, their faces covered in bandanas and sunglasses. One man wore a glossy German military-style helmet. They pulled up on either side of Anderson's truck as he stopped at a traffic light, waiting to turn left. The helmeted man stepped off the bike, walked to the driver's window and tapped on the glass. Then, before a handful of rush-hour drivers, he pulled a gun. Bullets shattered the truck's windows. Anderson was shot five times. 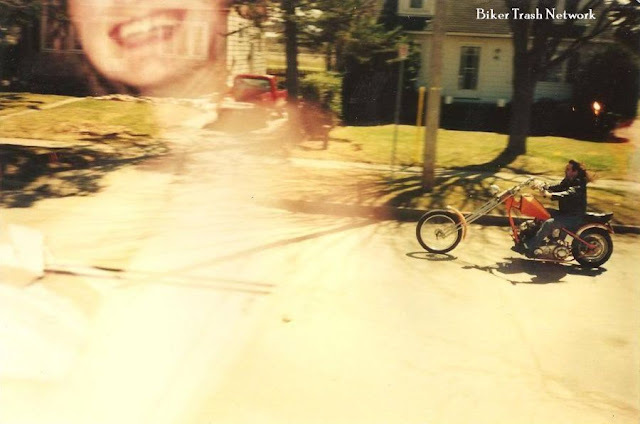 Images of the bikers saturated local news and prompted a confidential informer to call law enforcement. The informer told investigators Guinto contacted him after the murder and asked for help getting rid of the gun. Investigators later equipped the informer with a hidden camera, which he used to secretly record a conversation with Guinto. Guinto admitted he had been in a car behind Anderson's truck before the shooting, according to an arrest affidavit. He said he'd watched Cosimano shoot Anderson, and that a second man, Michael "Pumpkin" Mencher, 52, was standing by in case anything went wrong. He said he was proud of the killers, according to the affidavit. Federal agents already had reason to suspect the 69'ers. Hours after the assassination, they set up surveillance on a Riverview home rented to Erick "Big E" Robinson, 46. They reported hearing mechanical sounds, which they suspected to be gang members taking motorcycles apart. 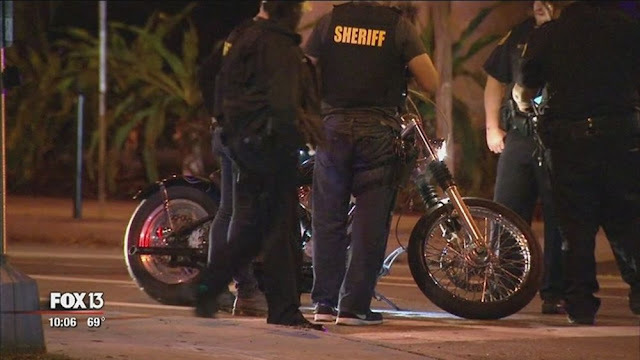 Mencher was later seen leaving the home on one of the two motorcycles in the Suncoast Parkway surveillance images, investigators said. They later searched the home and found the second bike, ridden by Cosimano, they said. Both bikes had been modified to make them less identifiable, prosecutors said. Within days, Cosimano, Mencher and Guinto were arrested. Months later came a federal indictment alleging murder in the aid of a racketeering and narcotics conspiracy, among other charges. The indictment roped in Robinson, whom prosecutors said was in the car with Guinto and helped dispose of evidence, and a fifth man, Cody "Little Savage" Wesling, said to be directly behind Anderson's truck. Wesling, 28, was a "prospect," who was seeking to become a full member of the 69'ers. Before his arrest, he was also a Polk County firefighter. Prosecutors discussed seeking the death penalty for the group but ultimately ruled it out. All five men remain jailed. If found guilty, each faces up to life in prison. Australia (December 27, 2018) BTN — After playing the Toronto International Film Festival back in 2017, the Australian motorcycle club drama formerly known as 1% is finally coming to theaters, but with a new title and an early 2019 release date. The film is now known as "Outlaws", and it follows Matt Nable as the Copperheads motorcycle club leader Knuck who has been busy doing a three-year stint in prison. Meanwhile, Paddo (Ryan Corr) has been keeping everything in order, even turning quite the handsome profit for the club. So when Knuck returns, there’s a bit of a conflict as to whether Paddo should keep leading, or if they go back under the old leader. Violence and biker loving ensues, as you can see in the Outlaws trailer below. But maybe audiences will see something they like in this movie. After all, even though the "Motorcycle Gang" subgenre has tropes, perhaps there are enough people out there who don’t get enough of them to really be frustrated by a lack of originality. Or maybe there are audiences who just don’t care and will watch it anyway. Outlaws hits theaters on February 1, 2019. Victoria, B.C. (December 27, 2018) BTN — The president of the Devils Army Motorcycle Club in Campbell River will find out Jan. 10 if he will be released on bail. Richard Ernest Alexander was charged in October with the first-degree murder of mixed martial arts fighter John Dillon Brown in March 2016. The 30-year-old Saanich man was found dead inside his car near the west side of the one-way bridge to Sayward, about 75 kilometres northwest of Campbell River, on March 12, 2016. Alexander, 63, applied to be released on bail during a four-day hearing held in early December in B.C. Supreme Court. The judge reserved her decision until Jan. 10. A two-week preliminary inquiry is set for September. Brown, a father of four, was last seen alive on March 11, 2016, leaving a home in Campbell River in his 2009 Honda Accord. Alexander was arrested after a joint investigation by B.C.’s anti-gang task force, the Combined Forces Special Enforcement Unit of B.C. and the Vancouver Island Integrated Major Crime Unit. The Special Enforcement Unit said the investigation involved more than 200 police officers. On Aug. 10, 2017, about 60 officers raided the Devils Army clubhouse on Petersen Road in Campbell River in connection with Brown’s killing. The Devils Army, active in Campbell River since 2009, is a support club for the Haney Hells Angels chapter, with five full-patch members and two prospective members, according to the Special Enforcement Unit. At the time of the raid, Alexander told a Times Colonist reporter: “I don’t know what’s up myself — no comment.” There is no information to suggest that Brown, a semi-pro mixed martial arts fighter, was a member or associate of the Devils Army or the Hells Angels, the Special Enforcement Unit said after the August 2017 search. Alexander is one of the founding members of the Devils Army Motorcycle Club, which the Special Enforcement Unit described as an outlaw group. Corpus Christi,TX (December 23, 2018) BTN — The Bandidos motorcycle club in Corpus Christi donated toys to Driscoll Children’s Hospital earlier this week. The motorcycle club held toy drives at local stores around the coastal bend for children that have to spend Christmas at the hospital. 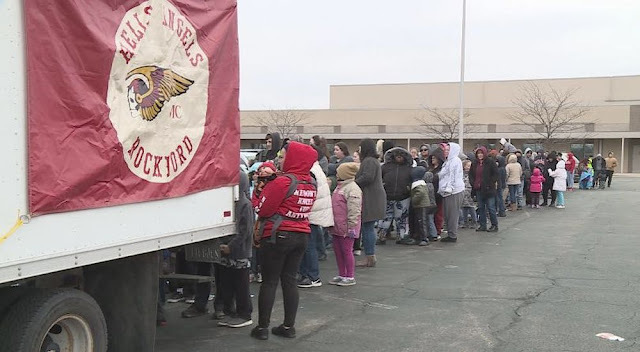 Rockford, Illinois (December 23, 2018) BTN — The Hells Angels motorcycle club helped provide for needy families this Christmas season. In just two days, the motorcycle club came up with about 300 to 400 toys for a toy drive. At one point, the club says, they almost ran out of toys. To get the word out, they just used word of mouth and Facebook. They say this is their first time doing a stationary toy drive because they normally drive around to different places. Organizers say it feels good to give back to the less fortunate. 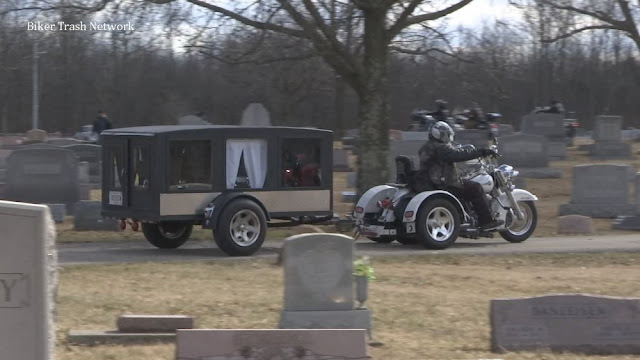 "A lot of these kids don't have anything; they don't have any presents or anything, and somebody's got to do something," said Matt Yarber with the Hells Angels Motorcycle Club. Halifax, Nova Scotia (December 21, 2018) BTN — The Hells Angels have re-established an evolving presence in Atlantic Canada, although experts say they have not expanded their roster of full-patch members since first reappearing in the region more than two years ago. 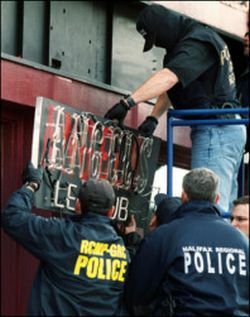 Police and organized crime experts say it's not clear why the country's most powerful motorcycle club has not found any local prospects worthy of full membership, but confirm the Angels are retrenching after their former Halifax chapter was smashed by police in 2001. Stephen Schneider, a criminology professor at Saint Mary's University who has written extensively on organized crime, believes the establishment of a new puppet club in the last year -- the Red Devils -- is a significant sign of intent. "The Red Devils is pretty much their sort of AAA affiliate club internationally," said Schneider. "So this is a signal that the Hells Angels have not given up and that they are really serious about their presence in Atlantic Canada." The Red Devils have set up chapters in Moncton, N.B., and in Halifax. The members of the Halifax Red Devils chapter, which was set up in July, were recruited from two other motorcycle clubs, the Gatekeepers and the Darksiders, according to RCMP Staff Sgt. Guylaine Cottreau of the Criminal Intelligence Service Nova Scotia. "They were known to the Hells Angels and they came from the already existing support clubs," said Cottreau. "We have no Hells Angels prospects ... but they still have a good footprint in the province with their support clubs." Cottreau said there had been a Nova Scotia prospects chapter, but it fell below six members this fall, and they've since become prospects for the Hells Angels in New Brunswick, where a Hells Angels Nomads club includes some full patch members that were transplanted to that province. She said in addition to the Red Devils, Nova Scotia has a series of other motorcycle clubs, including Darksiders clubs in Dartmouth and the Annapolis Valley, Sedition clubs in Fall River and Weymouth, and Highlanders clubs in Antigonish, Pictou County, and Cape Breton. Experts believe the Angels are looking to expand territory and crack the drug trade in a region with several thousand kilometres of coastline, which makes it easier to import drugs. The only so-called group of one percenters -- the elite outlaw bikers -- in Nova Scotia is the Bacchus Motorcycle Club, which appears to have reached a detente region-wide with the Angels. It was also declared a criminal organization in a July ruling by a Nova Scotia Supreme Court judge -- a move that has the potential to put a damper on its activities because it establishes tougher sentencing for crimes carried out to benefit the club. Meanwhile, a traditional rival group for the Hells Angels, the Outlaws, has also pushed into the region with support clubs known as the Black Pistons in Fredericton and in Sydney, N.S., where they set up shop earlier this year. The Outlaws and Bacchus also operate in Newfoundland, along with several Hells Angels support clubs. "Right now it is peaceful, however they (Outlaws MC) are the main rival group to the Hells Angels so there is potential there (for violence)," Cottreau said. Schneider said he finds it surprising that the Outlaws MC are trying to move into Atlantic Canada after failing to emerge as a significant threat to the Hells Angels in Ontario. "They have chutzpah I'll give them that," Schneider said. "They are still in there battling and trying to establish territory." In Prince Edward Island there are two Bacchus club chapters and one affiliate chapter of the Hells Angels motorcycle club. RCMP Cpl. Andy Cook said the Hells Angels are down to six prospect members from 10 in P.E.I. and none of the bikers are full-patch. He said stepped up police enforcement likely led to some members leaving the club. "Some of the incidents were probably not very attractive to the Hells Angels who are frequently trying to portray themselves in a positive light in the media," he said. While it's believed the Port of Halifax is the main prize coveted by the Angels, police say they're not aware of any activity there. Schneider, who recently completed a study for the federal government on organized crime in marine ports, said he hasn't seen any direct evidence either. "I didn't see any known Hells Angels members working on the docks in Halifax, but that's not saying they aren't, or there aren't associates," he said. Schneider said the Angels' influence has suffered setbacks through police enforcement actions such as the arrest in July of prominent New Brunswick member Emery Martin on 10 drug-related offences. However he believes it was the success of a crackdown years before against the motorcycle club in Quebec that has had the most impact. In April 2009, Operation SharQc resulted in 156 arrests and the closure of several of the biker gang's clubhouses, however many of the court cases eventually fell through and Schneider said the Hells Angels have seen a resurgence in Quebec that has implications for the Atlantic region. "They are in a better position to help Atlantic Canada establish chapters and puppet clubs. Having the Red Devils set up in Moncton is significant because they are a Tier 1 puppet group that has long been associated with the Montreal chapter of the Hells Angels." Cottreau said police are aware of the emerging threat and observed a Quebec Hells Angels presence in the region over the summer. She said police will move to enforce the law against the Angels where and when they can. "We are trying to disrupt and dismantle them but it is a big task. They are a pretty well established organization." Cape Coral, Fla. (December 20, 2018) BTN — The Cape Coral Police Department has suspended the extended hours permit of Dixie Roadhouse after about 40 patrons leaving the bar started fighting in the parking lot across the street earlier this month. Master Sgt. Allan Kolak, the department's public affairs officer, said via email that shortly before 3 a.m. Dec. 8, the patrons got into an altercation and yelled gang-affiliated comments. 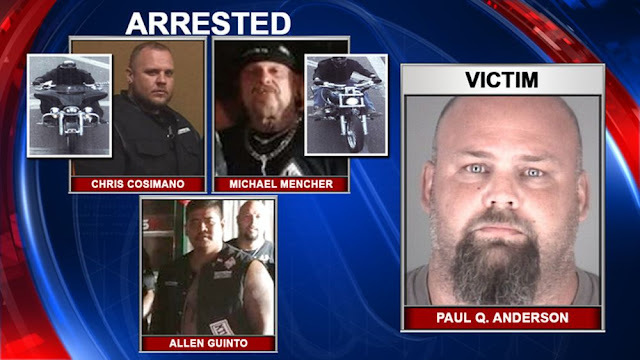 Police determined they were related to a Fort Myers-based motorcycle club that is on the U.S. Attorney's Most Violent Offender List. He said officers observed members of both the "Eternals" and the "Outlaws" motorcycle clubs leaving Dixie Roadhouse about the time of the altercation. "Officers called for backup and all south units responded to the scene, totaling 13 police officers," Kolak said. "The necessary allocation of police personnel required by this violent activity compromised the police protection for the remaining south district for approximately one hour." According to an officer narrative report from the incident, some people who were fighting were detained in handcuffs but released after the situation calmed down. No one cooperated with the investigation, the report said. Police Chief David Newlan suspended the permit on Wednesday, Dec. 12, but the decision to revoke the permit stems from an "increasing threat to the public health, safety and welfare" posed by Dixie Roadhouse, Kolak said. 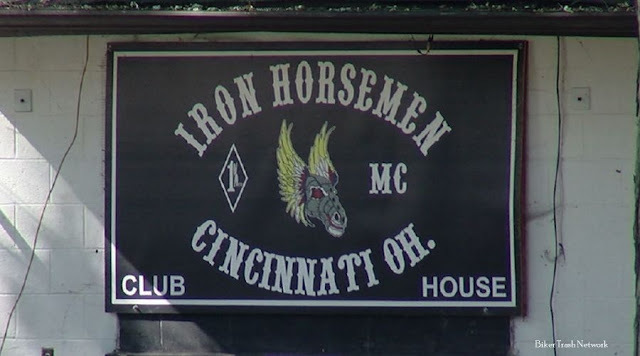 He said officers have reported an increase in motorcycle club members patronizing Dixie, and there were six incidents in September concerning intoxicated patrons. Among those, he said two patrons were found passed out, one in the bar and the other in a nearby public parking lot; and two patrons were arrested as a result of DUI incidents, one of which resulted in a DUI-related vehicle crash. Kolak said Dixie staff "failed or refused to take reasonable precautions to discourage unlawful activity including, but not limited to, disturbances and vehicular use by intoxicated patrons." The police chief recommended prohibiting motorcycle club colors at Dixie, but Kolak said the recommendation was ignored. "Chief Newlan has discussed, several times, the need for this establishment to impress on its employee's responsible hospitality industry practices concerning both the welfare of intoxicated patrons and the need to refuse to serve persons who are or are in danger of becoming intoxicated," There has not been any appreciable improvement in the management of these practices. A Dixie Roadhouse manager was not available Wednesday afternoon. Cape Coral issued the extended hours permit to Dixie Roadhouse in April, after City Council passed an ordinance to extend bar hours to 3 a.m. on Saturday and Sunday mornings in the city's CRA district, which includes businesses along Cape Coral Parkway East and SE 47th Terrace. Bars previously had to close by 2 a.m. Proponents of the ordinance, which passed 7-1, argued the extended hours would attract more people to the Cape and show local businesses that the city supports them. Newlan said during the city council meeting in March that the city's previous trial with 4 a.m. hours showed an increases in service calls. "When you bring in a larger crowd down to an area, you've got to expect there's going to be an uptick in calls for service and/or crime," Newlan said at the March meeting. "It's going to happen." The News-Press previously reported that Dixie Roadhouse was deriving the greatest benefit from a previous extended bar hours trial in the city. Police said that two other businesses, BaackStreets Sports Bar and Remixx Lounge, currently use their extended hour permits. Pittsburgh, PA (December 20, 2018) BTN — A night of binge drinking by four undercover Pittsburgh police detectives that ended with a bar fight on the South Side of Pittsburgh were all paid for with city money, news channels have confirmed. 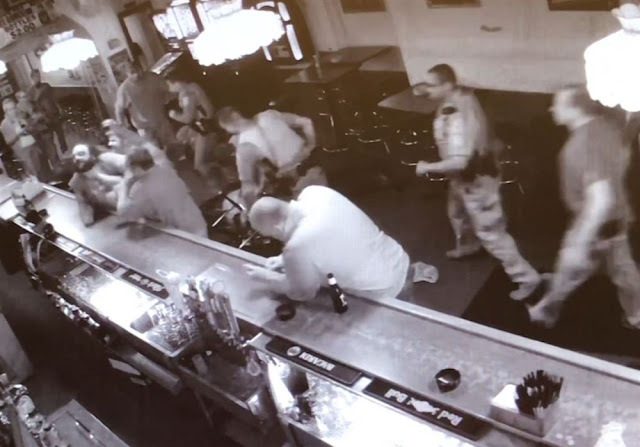 The owner of Kopy's Bar told news reporters that the officers had been drinking in the establishment for several hours before a few members of the Pagans motorcycle club walked in a little before midnight. About an hour later, words were exchanged between a couple of the Pagans MC members and the drunk cops when the fight broke out. All four officers involved have been reassigned and the charges that were initially brought against the Pagans have been dropped. The Biker Trash Network as been covering this story from the beginning and timeline stories are below. 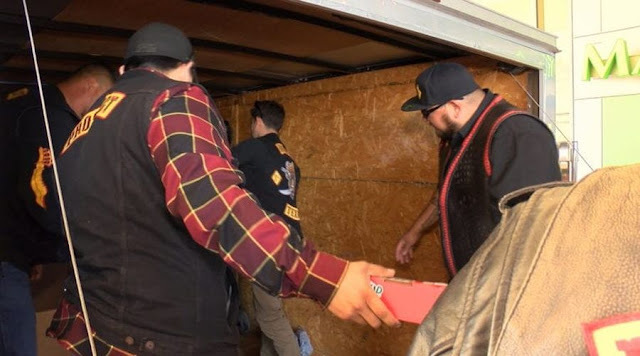 Brockville, Canada (December 20, 2018) BTN — Brockville Police have arrested a fourth man in connection with two motorcycle club raids in the city earlier this month. Officers arrested the 30-year-old man on Tuesday “in relation to the investigation,” police reported Wednesday. Police, who had not released the latest accused’s name as of Wednesday afternoon, held him in custody pending a bail hearing on the same charges laid on the three earlier accused, including kidnapping and assault with a weapon. The latest arrest relates to two search warrants carried out on Dec. 6 by the Brockville Police Service, with the help of the Ontario Provincial Police Biker Enforcement Unit, the Belleville Police Service and Kingston Police Service. The Joint Forces Team raided two Brockville residences, at 283 Park Street and Apartment 17 at 16 Cartier Court, in relation to the Outlaws Motorcycle Club and an Outlaws support club, the Dead Eyes Motorcycle Club. During those raids, officers seized a number of items, including Dead Eyes Outlaw Motorcycle Club vests, clothing and related paraphernalia; documents supporting involvement in a criminal organization; a small quantity of cocaine; cellphones; clothing “worn during commission of offences”; and a 2004 Pontiac Grand Prix. Thomas Bell, Norman Cranshaw Rosbottom and his son, Norman Stanley Rosbottom, were charged in connection with crimes that began in March, police noted. The charges include kidnapping, robbery, assault with a weapon, assault, and two separate offences relating to organized crime groups, said police. City police say they have been aware of the Outlaws MC in the area for nearly two years, but there has been a “drastic increase” in their activity over the past summer. The twin raids Dec. 6 were the city police force’s second motorcycle club operation this fall. In September, police arrested two people in connection with drug and weapons offences with motorcycle club links following a raid at 21 Sevenoaks Avenue in Brockville. Four other people were initially sought after that raid, one of whom later turned himself in in Kingston. Two of the remaining suspects turned themselves in to Brockville police, while the other also did so in Kingston. Police Chief Scott Fraser said Wednesday he does not believe any further arrests are pending in connection with the December operation. While such arrests might put a dent in criminal organizations, it would be naive to expect the gang activity to stop, added the chief. “As long as they keep committing criminal offences, we’ll keep arresting them and locking them up, or at least charging them,” said Fraser. Police said earlier this month the club activity does not usually put at risk members of the public who are not in some way involved with drugs. “Generally, it’s not a random victimization,” Fraser added Wednesday. “People who become victims are generally involved with them.” Still, the chief urged members of the public to report any suspicious activity to police. The Hague, Netherlands (December 19, 2018) BTN — The national chapter of a motorcycle club was correctly banned by a lower court two years ago, but the local branches of the club can remain, appeal court judges said on Tuesday. 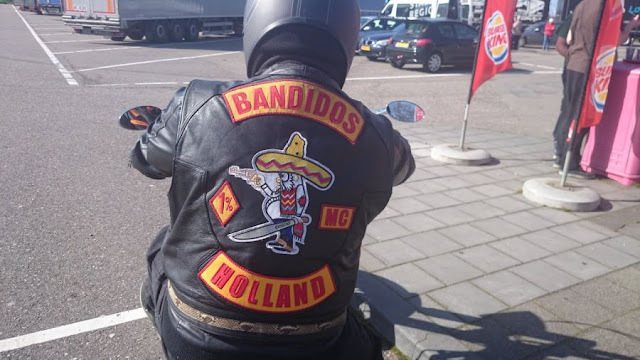 Bandidos Motorcycle Club (BMC) Europa and the Dutch organisation Bandidos Motorcycle Club Holland had gone to court to appeal against a Utrecht court decision to ban their organisations two years ago. In that ruling, judges banned the motorcycle club with immediate effect in order to ‘halt behaviour which could disrupt society’. The organisation has been operating in the Netherlands since 2014 and has chapters in Sittard, Nijmegen and Utrecht. 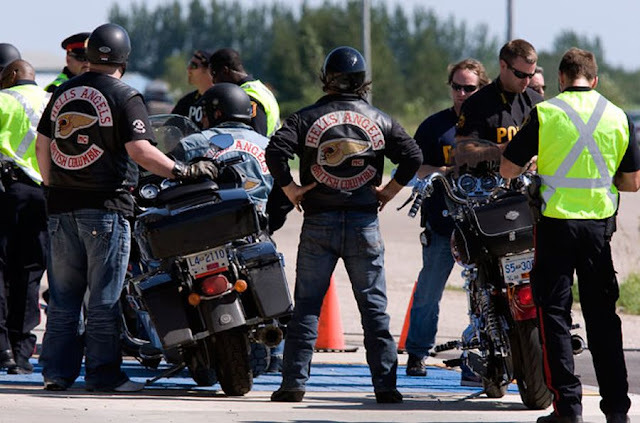 The public prosecution department began trying to have motorcycle clubs banned in 2007 using criminal law, but that backfired after the Supreme Court ruled in 2009 that the department had failed to properly establish that the Hells Angels formed a criminal association. 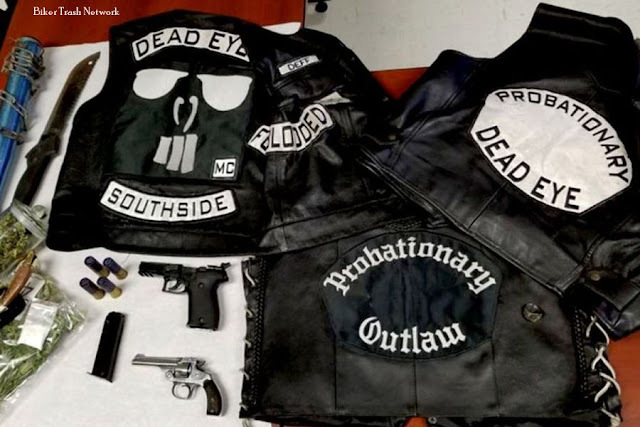 In September, the public prosecution department has asked judges in Assen to ban the motorcycle club No Surrender, arguing that the group is an outlaw gang and involved in drugs and other crime. Surrey, B.C. 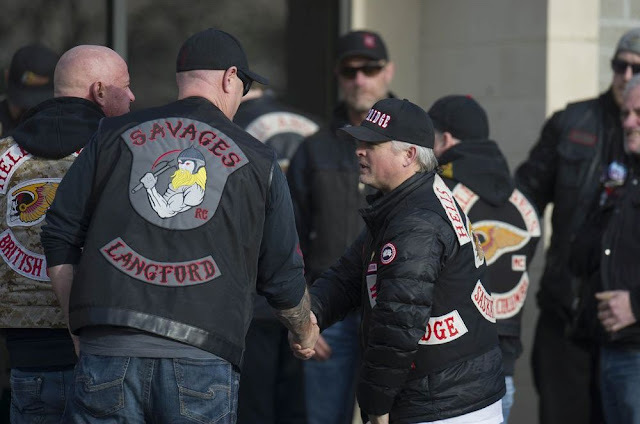 (December 18, 2018) BTN — Surrey Mayor Doug McCallum says he had no idea that the Hells Angels had opened a clubhouse in his city, even after a pledge from police several years ago that the motorcycle club would not be allowed to set up there. 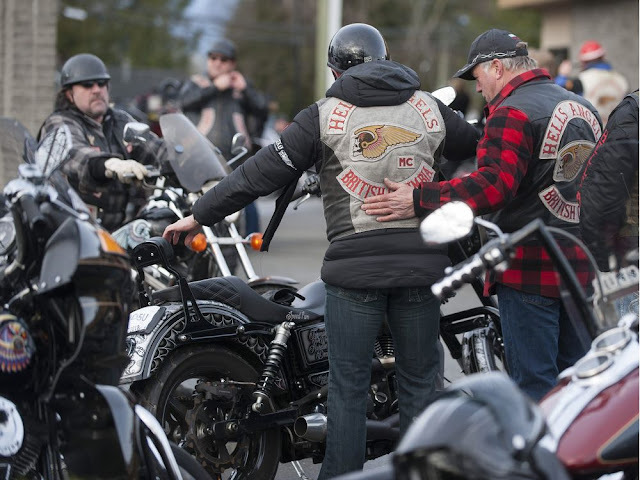 McCallum, who was elected in October, said on Monday that the Hells Angels are “not welcome” in Surrey. After a service this past Saturday service for murdered Hells Angel Chad Wilson, his fellow bikers gathered at the HA’s Hardside chapter clubhouse, which is on a small acreage near 180th St. and 96th Ave.
Officers from the Combined Forces Special Enforcement Unit, Surrey RCMP, Vancouver Police Department and other RCMP detachments monitored both the Maple Ridge funeral and the afterparty, both of which Postmedia reported on. Wilson had moved over to the Hardside chapter when it opened on March 17, 2017. He had previously been a member of the Haney Hells Angels and the “Dago” chapter based in San Diego. 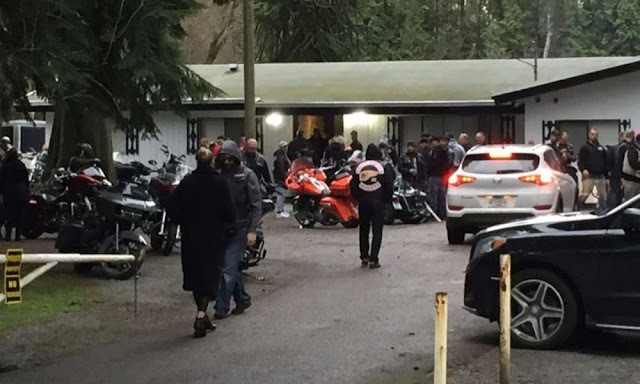 The clubhouse is believed to have opened some time in 2018 — five years after former top Surrey Mountie Bill Fordy pledged to block another Hells Angels chapter from using Surrey as its base. That officer, Asst. Commissioner Dwayne McDonald, said Monday that his officers are well aware of the clubhouse. “The police and the City of Surrey were made aware of the Hells Angels intention to set up a clubhouse in 2017 and, at that time, the city and the police collectively reviewed all legal means to keep this clubhouse out of Surrey,” McDonald said in a statement Monday. McDonald said both Surrey RCMP and officers with the anti-gang CFSEU “have regular contact with members of the Hardside chapter to ensure they understand our expectations regarding public safety.” There have not been any problems at events hosted by Hardside or other outlaw motorcycle gangs in Surrey, he said. In January 2013, former head Mountie Fordy said he met with the president of the West Point Hells Angels chapter to tell him not to establish a clubhouse in Surrey. West Point started in 2012 and was expected to base itself in Surrey. West Point waited years to open its clubhouse, which is located in a rented house on 2.25 acres in Langley, near the Canada-U.S. border. The Hardside chapter also appears to be in a rented house, which is located on two acres of property zoned agricultural. The property, assessed this year at just $47,000 because it is farmland, is owned by a Delta couple that has no apparent association with the Hells Angels. Hells Angels spokesman Rick Ciarniello did not respond to an emailed request for comment Monday. Currently, the Hells Angels are embroiled in a long-running court case with the B.C. government over the ownership of three clubhouses in Nanaimo, Kelowna and East Vancouver. The director of civil forfeiture wants the properties turned over to the government as instruments of criminal activity. The Angels have alleged the Civil Forfeiture Act is unconstitutional. The trial resumes in February. The bikers also use their clubhouses to create legitimacy and public awareness of their brand. Brookhaven, NY (December 18, 2018) BTN — Brookhaven Town officials say the Hells Angels have purchased a former Centereach church and plan to use it as the club’s new headquarters. The motorcycle club's Suffolk County chapter, which held a children's toy drive at the Lynbrook Street site earlier this month, plans to modify the structure's interior and obtain town permits before moving in, officials said. Town officials said club leaders have been cooperative and plan to be "good neighbors." Brookhaven officials said some neighboring residents have expressed concern about the club's purchase of the property, but they said the town cannot prevent the group from using the site as long as members abide by local codes. “Even though they have a fearsome reputation, as neighbors they tend to be an asset to the neighborhood,” Kuby said. “Historically, anywhere there has been a Hells Angels presence, street crime has fallen off dramatically. A Suffolk County police spokesman said the department was aware of the group's purchase of the property, but he declined to comment further. Deputy Town Attorney David Moran said he met with two Hells Angels leaders on Friday to discuss building requirements and the group's plans for the property. He said the club is required to obtain building permits for any work done on the site, and a certificate of occupancy before the group moves in. Town officials inspected the building and ordered the installation of smoke and carbon monoxide detectors, Moran said. 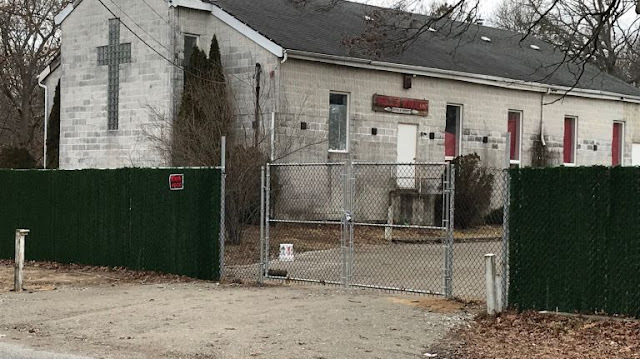 LaValle said Hells Angels members have mentioned plans to use the building, which has been vacant for several years, as a church, but a flyer referred to the property as a clubhouse. The Dec. 8 toy drive, which included a live music performance inside the church, attracted "a few hundred people," raising concerns about parking, Moran said. He added the town received no noise complaints associated with the gathering. He said the group planned to distribute gifts collected at the event to local fire departments and religious groups. The club has not submitted a building permit application with the town, Moran said. “As far as we’re concerned, they have a clean slate and we’re going to treat them the way we treat everyone," he said. Pittsburgh, PA (December 17, 2018) BTN — All four Pittsburgh police officers involved in a South Side bar brawl are on paid administrative leave, according to city officials. 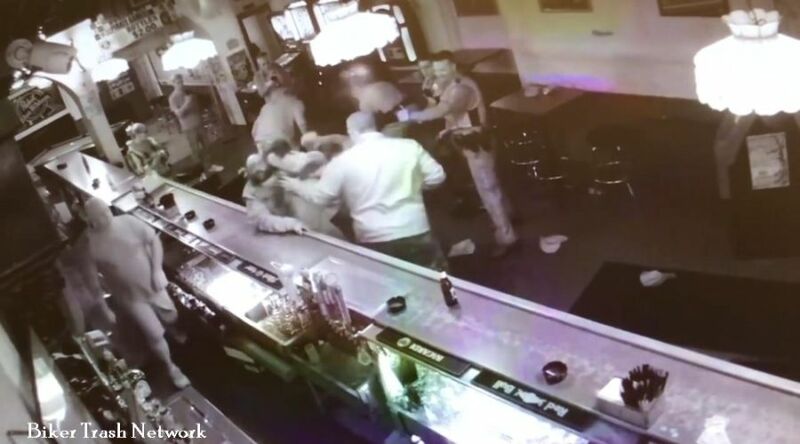 The brawl between the undercover officers and members of the Pagans motorcycle club at Kopy’s remains under investigation by the city’s Office of Municipal Investigations, the Citizens Police Review Board and the FBI. The police department is also conducting its own internal review. Mayor Bill Peduto said new information came to light that led to the decision to remove the officers from the narcotics unit, though he would not specify what was discovered. He said there is no timetable for when the investigations will wrap up. “We felt it prudent to move all four officers out of narcotics,” he said. A Public Safety spokesperson could not immediately be reached for comment. Detectives David Honick, David Lincoln, Brian Burgunder and Brian Martin were working an undercover detail when they arrived at Kopy’s on South 12th Street at about 7:30 p.m. Oct. 11. Six members of the Pagans arrived about four hours later. An argument between several of the detectives and at least one Pagan escalated into a brawl at about 12:40 a.m. Oct. 12. Four Pagans — Frank Deluca, Michael Zokaites, Erik Heitzenrater and Bruce Thomas — were arrested. District Attorney Stephen A. Zappala Jr. later withdrew the charges. Security footage captured the melee, including one officer punching Deluca 19 times in the head. Deluca and Heitzenrater have filed lawsuits, and attorneys for the men have alleged the undercover officers were intoxicated. Peduto previously said city police need to change the department’s policies regarding undercover work. Keremeos, B.C. (December 17, 2018) BTN — A new motorcycle club police say is affiliated with the Hells Angels has established itself around Fort Langley. 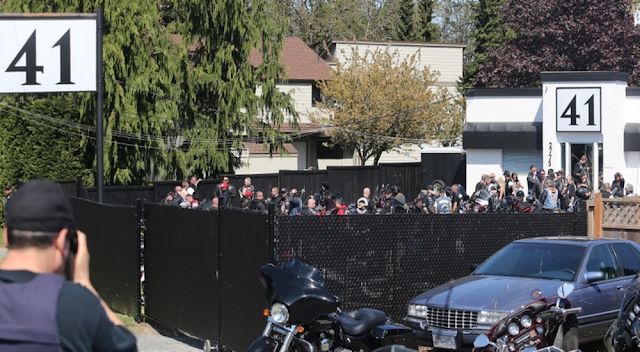 Members of the Street Reapers motorcycle club were reportedly spotted at the funeral of slain Hells Angel Chad Wilson in Maple Ridge on Saturday. “The Street Reapers are actually a motorcycle club that are closely associated and have close ties to the Hardside chapter of the Hells Angels,” said Sgt. Brenda Winpenny, spokesperson for the Combined Forces Special Enforcement Unit (CFSEU), an anti-gang policing unit. The Hardside Hells Angels chapter is based near Langley as well, in the Port Kells area of Surrey. The Street Reapers appear to have come into existence in late 2017, a little more than a year ago, said Winpenny. “We have noticed them at several of the Hells Angel ride events over the summer of 2018,” she said. There are believed to be between six to 10 members of the club; six is the minimum number for a motorcycle club of this type, Winpenny said. The group is not believed to have an official clubhouse yet, but has been seen frequenting businesses in Fort Langley. It’s likely one or more members live in or have a business in the area, Winpenny said. The Hells Angels are well known and have been established in many communities across B.C. for decades, including in Langley. But a new wave of smaller clubs have been cropping up in recent years, with different logos on their leather vests and jackets. Winpenny said they are largely “support clubs” for the Hells Angels. “They’re succession planning,” she said of the Angels. The core of the Hells Angels membership is aging, and they need new members. 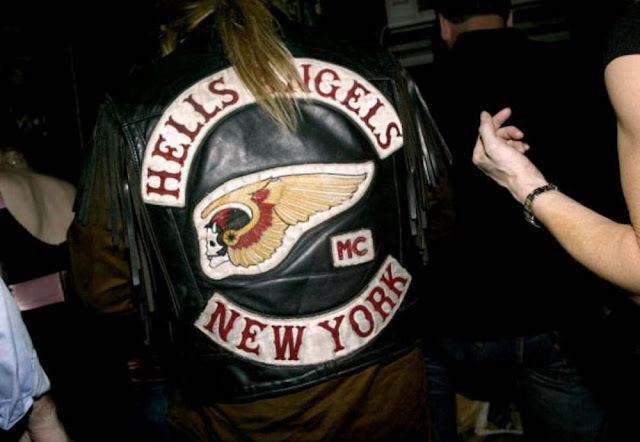 Support clubs are sources of new recruits who can be “patched over” to the Hells Angels if they measure up. “It’s like the farm team,” said Winpenny. The CFSEU has been keeping an eye on the Street Reapers, but so far there have been no charges laid against anyone related to the motorcycle club or its activities, she said. “We are still intelligence gathering,” said Winpenny. The affiliation police believe exists between the Street Reapers and other clubs should be a cause for concern for the public, said Winpenny. The Hells Angels have been involved in drugs, weapons offenses, and violent crimes, she noted. Hells Angels have gathered in Langley for years. The White Rock chapter of the Hells Angels moved to Langley decades ago. 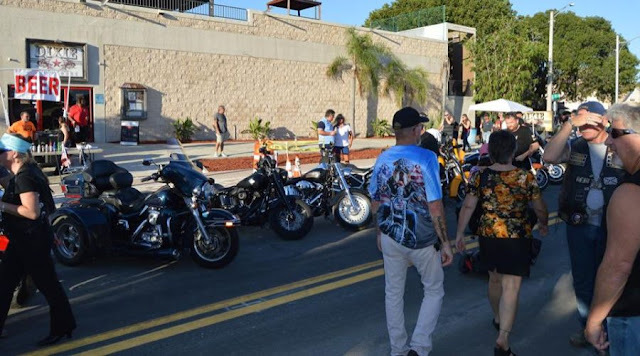 In 2013, the chapter threw a 30th anniversary bash that drew a large number of bikers and guests to the gated clubhouse property on 61st Avenue east of 216th Street. Police were also there in droves, monitoring the coming and goings of the guests. Maple Ridge, B.C. 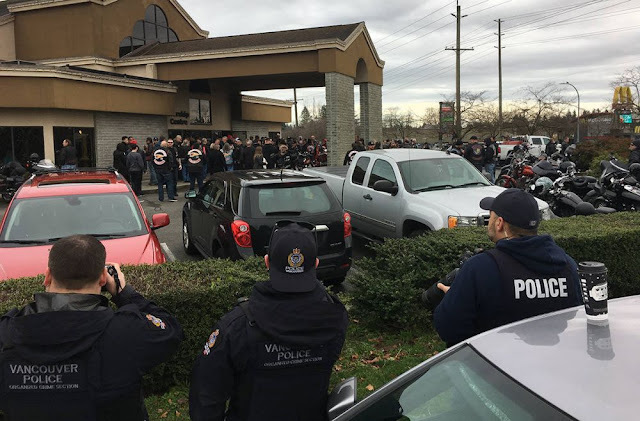 (December 15, 2018) BTN — Hundreds of bikers attended a funeral Saturday for a Hells Angels member at Maple Ridge Alliance Church. RCMP and Vancouver Police, including the organized crime team, also attended the funeral – many taking pictures – at the church on 203rd Street in west Maple Ridge, where hundreds of motorcycles lined the parking lot. Last month, the body of Chad John Wilson, a full-patch member of the Hells Angel, was found face-down under the Golden Ears Bridge. 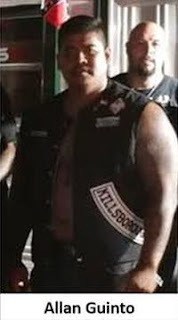 Wilson, 43, was a former member of the Haney Chapter of the Hells Angels and had joined the motorcycle club’s newest one, the Hardside Chapter. “R.I.P. Chad Wilson. Today is one of the hardest days I’ve had to face. Our charter, the club and the world will never be the same. You’re a Legend and your family will be with us forever my brother! See you on the other side. always us,” read a Facebook post by Jewsifer, which is linked to the Hardside Chapter’s website. The Integrated Homicide Investigation Team confirmed Wilson’s death. Ridge Meadows RCMP said they were working with homicide investigators. Wilson was one of four men arrested in Spain in 2013 on allegations of smuggling cocaine and who had links to the Mission and Haney chapters of the Hells Angels. B.C.’s anti-gang unit confirmed then that Mission full-patch member Jason Cyrus Arkinstall and Wilson were arrested by Spain’s National Police along with associates Scott Smitna and Michael Dryborough. Spanish police alleged the men were involved in smuggling 500 kilograms of cocaine into the country. A statement from Spanish police said the investigation began after authorities were tipped off about a group of Canadian Hells Angels who were planning to ship cocaine from Columbia to Spain by sailboat. The discovery of Wilson’s body was made just before 11:30 a.m., just west of Wharf Street and Hazelwood Street. Several men wearing Hells Angels insignia arrived on scene, crossing the police tape to talk to investigators. 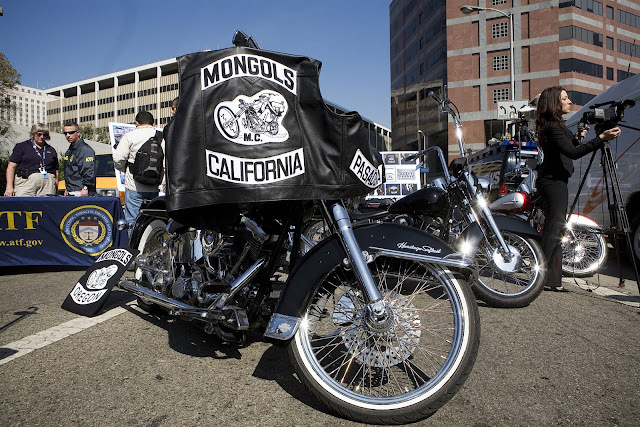 Santa Ana, California (December 13, 2018) BTN — A federal jury on Thursday found the Mongol Nation motorcycle club guilty of racketeering, siding with prosecutors who said it operated as an organized criminal enterprise involved in murder, attempted murder and illegally distributing methamphetamine and cocaine, authorities said. The Mongol Nation, called a violent biker gang by prosecutors, was also convicted of racketeering conspiracy. Still to be determined is whether the Mongols, dubbed “the most violent and dangerous" biker gang in the country, will forfeit "any and all marks" that include the organization's logo — the word "Mongols" and a drawing of a Genghis Khan-styled rider on a motorcycle. The verdict gets prosecutors a step closer to their goal of seizing their trademark patch, which is big businesses for the gang, according to court filings. Higher-ups in the estimated 600-person club "will frequently bear patches that indicate they are officers in the enterprise," and they earn those patches through violence and mayhem, prosecutors say. The verdict will not mean prison time since it is against the organization, not individuals, but the group could be subject to criminal fines, according to court documents. A hearing is scheduled for Jan. 8 to argue forfeiture issues. A request for comment from the attorney listed as representing the Mongol Nation in court documents, was not immediately returned. An email to a person listed on the Mongols' website was also not returned Thursday. "The Mongols Gang is a violent, drug trafficking organization that advocates and rewards its members and associates for committing violent crimes, including, and specifically, assaults and murders, on behalf of the gang and in order to promote what the gang terms 'respect,' prosecutors wrote in one court filing. In another filing, they said the club's "'Mother Chapter" may award a "skull and crossbones" or "Respect Few Fear None" patch to members who have committed murder or engaged in acts of violence on behalf of the gang. Prosecutors said in court documents that the Mongols are a nationwide organization, but approximately 400 of its 500 to 600 members are believed to be located in Southern California, and some of its members are current or former members of Los Angeles County street gangs. 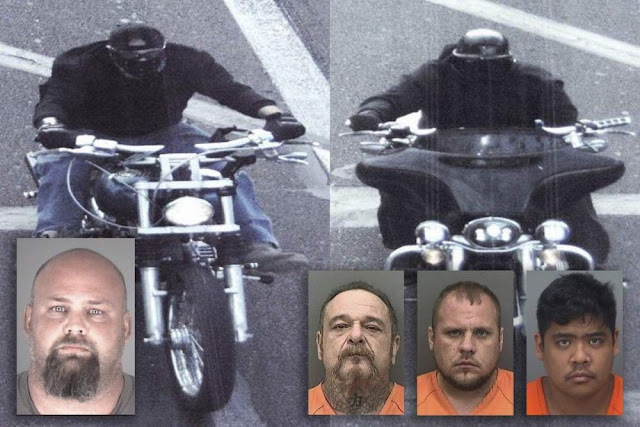 Defense lawyers have said the motorcycle group is simply a loose configuration of riders in the Southwest, not an organized criminal enterprise. They also have maintained that the government doesn't have the right to seize the patches of members who haven't been involved in any criminal activity. The U.S. Attorney's Office in Los Angeles has been trying to go after the patches for a decade. Then-U.S. Attorney Thomas O'Brien first announced the unusual legal bid after 79 members of the gang were indicted in 2008. Cincinnati, Ohio (December 12, 2018) BTN — A man was shot and killed while breaking into a home in Whitewater Township early Wednesday, according to the Hamilton County Sheriff's Office. Investigators identified him as Andrew Naegele, 26. That homeowner, John Heard, is now charged. Heard, called 911 and reported that he had shot a man in the chest as he was breaking into his home on Ohio 128 near Cilley Road just before 1 a.m.
During the 911 call, Heard said that the man he shot and killed was a member of the Iron Horsemen motorcycle club who also came to his house on Monday night to "rough him up," but he didn't know him. Deputies interviewed the homeowner. They say Heard admitted that Naegele was his drug dealer there to collect money he owed for methamphetamine. Heard has been taken to jail on a gun charge. He's not allowed to have a gun due to a previous conviction. Deputies say they're still investigating whether additional charges will be filed. Detectives are also trying to find a pickup truck seen by witnesses leaving the home immediately after the shooting. They don't have any information about make, model or color. Santa Ana, California (December 11, 2018) BTN — When federal prosecutors finally managed to put mobster Al Capone behind bars, it wasn’t for murder or bootlegging, but tax evasion. Law enforcement officials announce the arrests of members of the Mongols motorcycle club in 2008. If the government prevails in a racketeering case in Orange County against the group’s leadership, prosecutors plan to seek a court order to seize control of the club’s coveted, trademarked insignia, which its members wear emblazoned on the back of their biker jackets. Both sides agree the insignia — a muscled, Asian man with a ponytail and sunglasses riding a motorcycle beneath the club’s name in capital letters — is a vital and potent part of the club’s identity. In trying to wrest it away, justice officials are banking on the idea that if they own the trademark, they will be able to choke off the club’s lifeline by preventing current and future members from wearing the image. But it’s an open question whether the untested legal ploy will work, trademark experts said. The Mongols were formed in the 1970s in Montebello, outside of Los Angeles, by a group of Latino men who reportedly had been rejected for membership by the Hells Angels motorcycle club. It has expanded over the decades to include several hundred members in chapters across Southern California and elsewhere. Like many social clubs, the Mongols have a constitution and bylaws, while top officials in the club’s “Mother Chapter” in West Covina collect dues from members, according to court records. But the Mongols are also a group that investigators say kept a cache of assault rifles, other weapons and bulletproof vests at its headquarters. The Mongols club has been in the federal government’s crosshairs for years, along with several other groups authorities have identified as “outlaw motorcycle gangs.” Despite their claims of being innocent social clubs, the groups, which include the Hells Angels, Vagos and The Outlaws, have long track records of warring with each other and, according to authorities, operate as criminal organizations that subsist on the drug trade. In 2008, nearly 80 Mongols members were charged in a sweeping racketeering case that included an array of alleged murders, assaults and drug deals. The charges were the culmination of Operation Black Rain, an investigation that centered on Mongols who had become paid informants and four undercover agents from the Bureau of Alcohol, Tobacco, Firearms and Explosives who infiltrated the club’s ranks. The idea of stripping the Mongols of their insignia was born in this earlier case. At a news conference announcing the charges, then-U.S. Atty. Thomas P. O’Brien laid out plans to take control of the trademark — a move that he said would give the government the authority to force Mongols members to remove their coveted insignia from their riding jackets. “We’re going after their very identity,” O’Brien said. All but two of the defendants in the case pleaded guilty, and a judge agreed the trademark should be forfeited as part of the sentences handed down. The judge ultimately reversed himself, however, after deciding none of the people charged in the case actually owned the trademark and, so, couldn’t forfeit it. Prosecutors tried a new tack in 2013, when they filed a second racketeering case that was largely the same as the first but which named only one defendant — Mongol Nation, the entity which prosecutors say is made up of the club’s leaders and owns the trademark. In the new case, for example, prosecutors accused the Mongol Nation of being responsible for the 2008 murder in San Francisco of a Hells Angels member by a Mongols member. The new effort was nearly derailed when U.S. District Judge David O. Carter threw it out on legal grounds. But an appeals court overruled Carter, and the case finally went to trial last month. Over several weeks of testimony, prosecutors once again relied on the now-retired undercover ATF agents to testify about their time posing as Mongol members. Defense attorney Joseph Yanny, meanwhile, argued that any violence by members was committed in self-defense, and anyone found dealing drugs was kicked out of the club. If the jury, which began deliberating last week, delivers a guilty verdict on the new racketeering charges, the panel and Carter will then have to decide whether the Mongols should forfeit their trademark as part of the sentence. The government also wants large fines imposed on the club if it is convicted. People and organizations commonly are stripped of cash, expensive cars, yachts and other tangible valuables as part of their criminal sentences. Taking a trademark, however, is uncharted waters. Through a spokesman, the U.S. attorney’s office declined to comment. But from what the government attempted in the first trial and their filings in the current case, it is clear prosecutors believe that with the trademark in hand they will have the authority to ban Mongols members from wearing their riding jackets, which display the insignia on the back and other smaller patches. Yanny said he plans to raise multiple legal challenges if the government goes after the Mongols’ trademark, including the club members’ constitutional right under the 1st Amendment to express themselves freely. Beyond those legal hurdles, experts in trademark law expressed doubts about the government’s plan. Unlike a patent, a trademark has legal heft only if the owner continues to produce the product or service that the trademark protects. The trademark Apple owns on its computers, for example, exists only as long as the company continues to make them, said Jason Rosenberg, a trademark attorney. 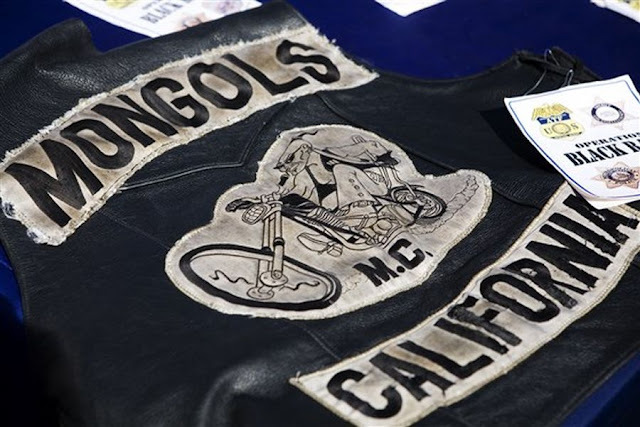 Even if justice officials licensed a law-abiding motorcycle club or law enforcement organization to use the Mongols insignia, Rosenberg and others remained skeptical of whether a judge’s seizure order forcing old Mongols members to hand over their jackets would stand up.